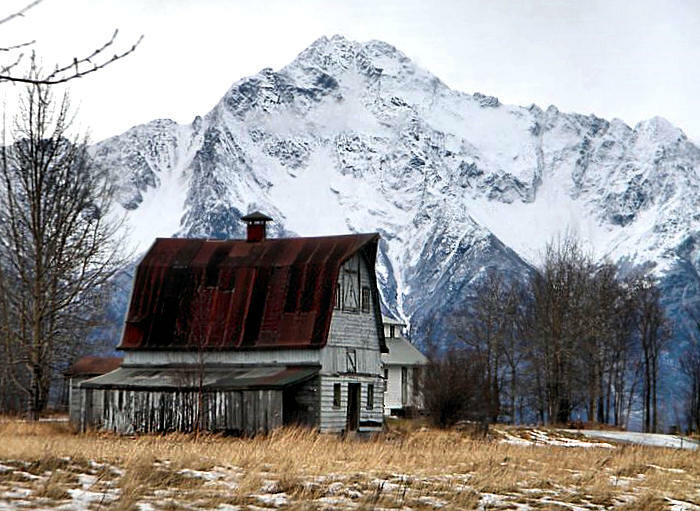 Ed Wineck was one of the original pioneers of the Matanuska Valley, pre-dating the Colonist families. In 1936, after some of the original Colonists left, Ed became a replacement Colonist, and was given tract no. 174 near Bodenburg Butte, where he supervised the construction of homes and barns for neighboring families. Ed Wineck and his wife Emma farmed for over 40 years, starting the Valley’s first poultry farm in 1937. 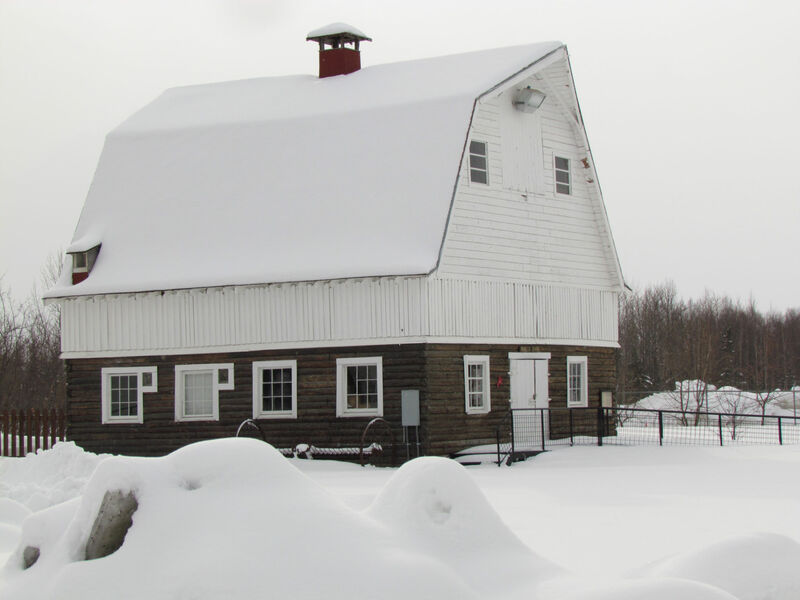 In 1975 the Winecks donated their barn to the Alaska State Fair, but the barn was too wide to pass through either of the narrow steel bridges across the Knik and Matanuska Rivers. 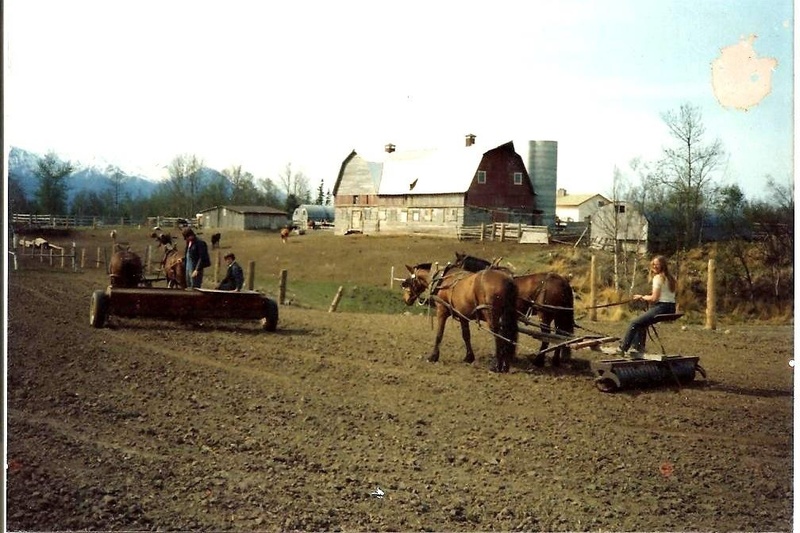 It was not until the new Knik River Bridge was built in 1976 that the barn could be moved down the Old Glenn Highway to the Parks Highway, across the Palmer Hayflats and back up the new Glenn Highway to the Fairgrounds. 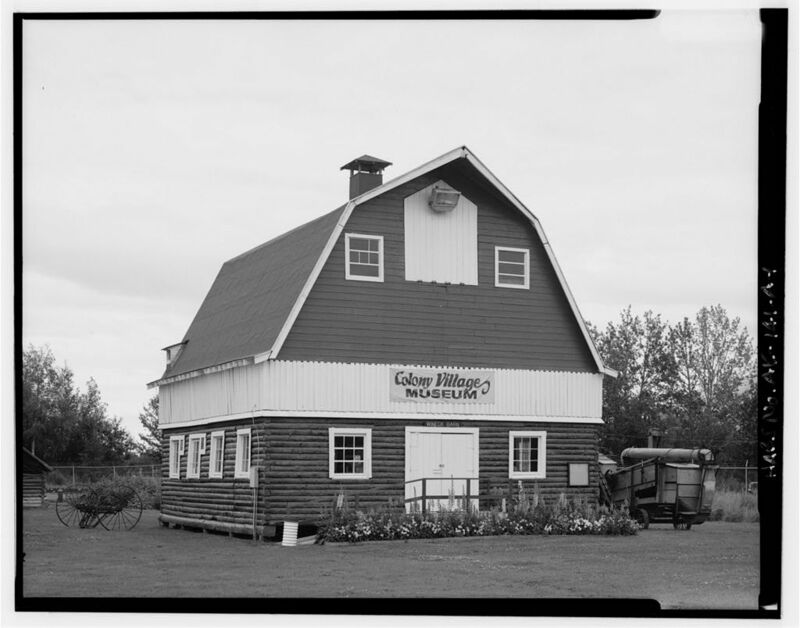 The classic gambrel-roofed Colony barn is now a major feature of the Alaska State Fair, showcasing the Matanuska Colony Project and surrounded by beautiful gardens and flower displays each year. 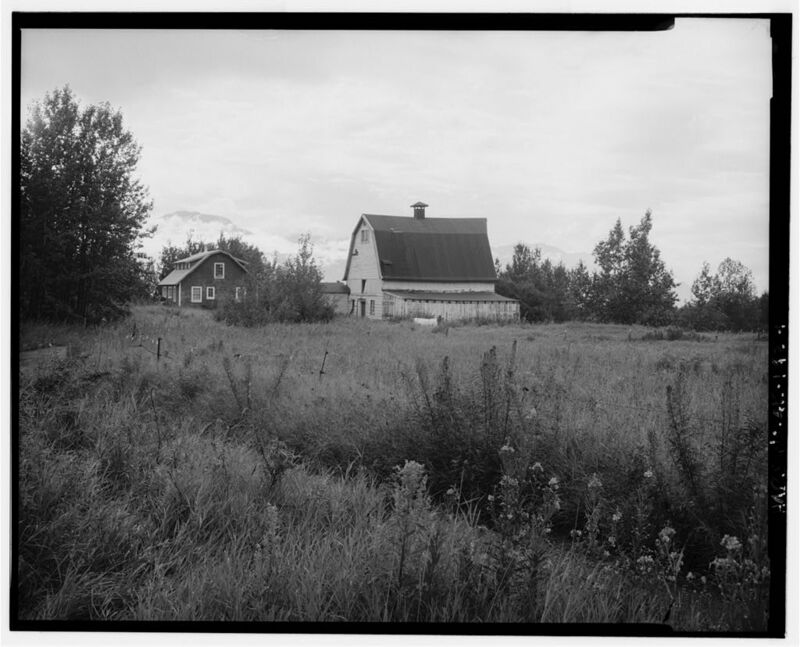 This entry was posted in Barns and tagged Alaska, Alaska State Fair, barns, gambrel, Glenn Highway, Helen Hegener, Knik River, Matanuska, Northern Light Media, Palmer, Wineck.